The first production run of Morey Boogie hit the market in 1975. The 132 B.E. was hand-shaped, and it shows -- there is an obvious lack of symmetry between the two rails. The "B.E." stands for "Baha'i Era", indicating that the model number corresponds with the Baha'i calendar (ie. 132 BE = 1975). Thus, the 132 B.E. was produced in 1975. This particular board has "JDL" carved into the bottom -- the initials of the original owner. Photo: Robert Laughrey. 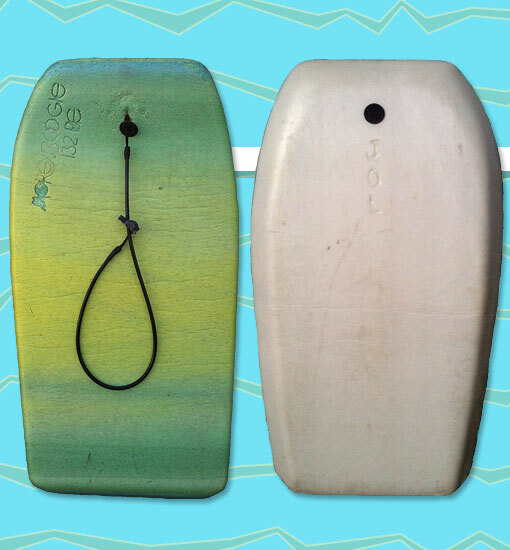 VintageBodyboards.com :: All Bodyboards :: Morey Boogie :: 132 B.E.